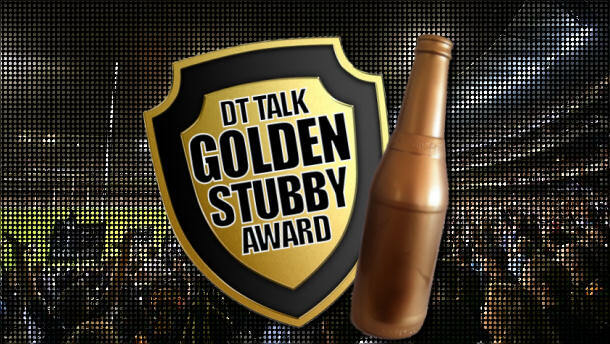 Anthony compiles your Round 1 – Golden Stubby nominations. Brett Goodes, Ollie Wines, Gary Ablett, Matthew Kreuzer and Tom Rockliff are the nominess. Vote Now! 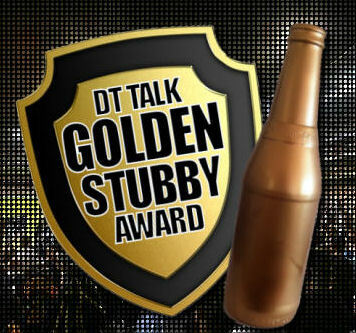 Welcome back to the ‘Golden Stubby‘ for 2013! So in a round where everything that could go wrong, did go wrong, who still went against the trend and scored well for you? Lets have a looks at a few player who narrowly missed out. Jack Viney – I have no doubt that Viney will feature in this poll sometime this year. But for the coaches who played him on the field they were rewarded with a massive debut score of 86. Led his team from the front and will be a mainstay in Fantasy teams for years to come. Michael Barlow – He managed to fly under the radar for a lot of teams this year due to his awkward pricing compared to other mid premos, but the simple fact is that with one round gone he just outscored a lot of the premium players above him. 126 is a fantastic return for a player at his price. Josh Kennedy, Brent Moloney and Jarrod Harbrow – We spoke a lot during the preseason for the decision to play mid priced players in various positions. With scores of 99, 96 and 82 respectively, these are the blokes who scored above their payscale in a low scoring round. Ollie Wines, 99 – Another massive game from a debutant. With so many premiums falling down in our midfield, coaches who were willing to pay the ‘rookie premium’ were rewarded by Wines stepping up with a huge score which made a lot of our overall’s look more respectable. Gary Ablett Jnr, 135 – With a lot of talk in the preseason about a change of role having a negative effect on his scoring, a lot of coaches decided not to go with GAJ. He rewarded the coaches who stuck with him by grabbing his team by the scruff of the neck and dragging them over the line against the Saints, with a huge 13 disposals and 3 goal, 54 dt point fourth quarter. Matthew Kreuzer, 114 – Showing signs of his career best form returning, Kreuzer was the highest scoring ruckman of the round, especially considering he played decent opposition in Ivan Maric. With a lot of coaches caught out with Leuenberger not playing, Kreuzer stepped in at the 11th hour and put the big numbers on the board. Tom Rockliff, 114 – Rockliff vs Zorko was the debate throughout the preseason, with a lot of coaches leaning towards Zorko after Rockliff was tagged to a low score in the NAB GF. Rockliff stood up for the coaches who stuck with him to be one of the highest scoring forward premiums in a low scoring group. I missed the post on Twitter but would like to nominate Andrew Swallow for a mention. No matter he will win it a few times this year! shoulda chucked in a special mention, surely wines wins anyway. Got 4 of 5, only missing the big kreuze. I’m a carlton supporter too, just can’t deal with his inconsistency. I has J Selwood(122) and S Mitchell(128), surely they came close to nomination. How is Wines getting more votes than Goodes? 91 for a defender is better than 99 for a mid..
Oh sorry – those figures were ownership. Just showing that Wines is more unique. I went with Kreuz! :) GUN! cheers guys, had a bit of a spud moment myself! I’m 325th.. avoided the carnage! This is true, although I’d say most would have Ablett, Rockliff and Wines. Ablett is a surprise to me. If you judged purely on how good his game was, forgetting about DT, it was amazing! If you judge purely on DT score, you expect Ablett to score 120-130 every week. Based on last year Rockliff was great, but the year before, his score is about what you would expect. Forget about DT for a second, but I was at the Suns game (season ticket holder) and Gazza’s performance was as good as any I have seen live…. ever…. by anyone…. and I’ve seen a few…. I’m strongly on the side of (or not) with the introduction of 44 trades.. I can see how it might be nice in a way but I hope it’s only kept in for this year and then changed back to the 20 trades.. Having only 20 means you need more planning and better pre season squad selection.. Having two a week takes away a lot of the strategy and you don’t really need to be so calculated when to use your trades and who you can bring in at certain times… Personally I think it detracts a lot from the DT I’ve come to love. I hate to say this but that’s why I’m now leaning more to supercoach. If it wasn’t for this website I would be fully involved in supercoach. If they are going to change it to 2 trades each and every week (which they’ve done), why not have the rule that no trades for the first 3 weeks so that if you chose well with your rookies, you should be rewarded and nobody can pick them up before the first price rise. 100% agree…. If you started without Goodes, Viney, Wines and Stevenson… you can still get them in before their price rise, which is totally unrewarding for the people who have done the pre season planning… not happy at all, Ultimate Coach is where its at! Both should have been in there regardless I feel. The rookies I will say should keep their spot, but I’d have dropped Kreuzer and Rockliff and given the spots to those two. Word. I’ve stopped trying to make sense of these articles. It basically comes down to who had who in their own team. I mean Swan at a ridiculous price comes through in the end like usual, where’s his nomination? Why does it have to be capped at 5…. ? As I said above bud. These are the top players nominated on twitter throughout the weekend. Who would I be if I asked for everyone’s votes and then just picked the players I wanted in there? I’m not sure why Swallow and Gibbs didn’t get many votes but ownership is a pretty good guess. Not many people had swallow so I guess that’s why not many feel his score positively affected their teams. Everyone has Gibbs so I suppose people don’t feel his score doesn’t really affect their overall ranking or whatever. I’m sorry if the players you’d have liked to vote for didn’t make the cut but obviously the majority of people felt that these 5 guys did more for their teams. Good luck with the season bud! I took viney out of my team.. Need to put him back in, for either Whitfield, Crouch or Kane Mitchell?! What about Whitfield & Mitchell? Whitfield and Tompas on the ground. Come Round 3 everyone will basically have the same set of rookie players due to the 2 trades per round. I think 2 trades per round makes the game too simple and not punishing enough for those poor trades. That was always the best thing for me about DT was that if you made a bad trade to a rookie or to a performing premo that drops off, it came back to bite you. Now you just trade ’em out next week. To me this has become a cash generation game and that is about it. Load up through the season on the next cash cow. After the cash is generated it will just be a bit of luck on injuries and which uber premos you picked. Definitely think they have taken skill out of the game….Disappointing…. All of your choices stink compared to the mighty A Swallow. Robinson > J.Kennedy or M.Wright?? cheers, where do you think i should use the leftover money? No idea what to do???? To everyone saying “X player should’ve been nominated” They do it on the top 5 most popular twitter nominations.